As part of the cooperation between MIFTAH and the Ministry of Social Development, a two-day workshop was held to review the strategic plan of the ministry and to discuss its spending priorities, with the goal of supporting the efforts of the ministry in institutionalizing a participatory approach and standards of international transparency. It was also aimed at promoting the principles of good governance in public policy-making at the ministry, based on the needs of societal sectors in order for the ministry to achieve its goals. These include lowering the poverty rate, strengthening the social fabric, fighting forms of discrimination and the exclusion of underprivileged social sectors, all of which require an honest review of all developmental components in order to create an atmosphere capable of reflecting developmental interventions in favor of actual and tangible empowerment for these disenfranchised sectors. MIFTAH’s consultant on budgetary affairs, Muayyad Afana, who supervised the workshop, said the agenda revolved around reviewing the goals, outputs and budgets of the Ministry of Social Development’s four programs to coincide with the developmental approach adopted by the ministry. He also said it was conducted within a comprehensive context that links the 2030 sustainable development goals with the National Policy Agenda 2017-2022 and which also reflects the connection between the National Policy Agenda and the social development sector strategy for 2017-2022. 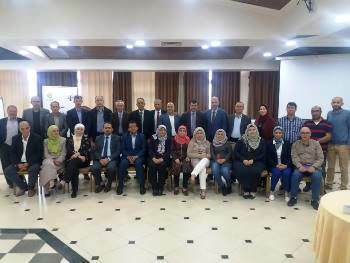 Hence, the workshop adopted a participatory approach whereby it included the participation of upper management representatives at the ministry and executive management in the various directorates in joint planning groups, which represent institutions in Palestine working in social affairs. 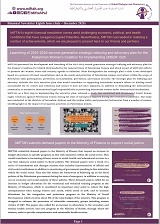 This workshop is particularly significant given that it is promoting the participatory budgeting approach in the public sector for the first time at the ministerial level in Palestine. The workshop included a review of budgets allocated to the various programs of the Ministry of Social Development through a participatory approach. Afaneh explained that, “The workshop included an interactive methodology by creating a setting for brainstorming for the upper management, executive management and planning groups participating in the workshop. They discussed and reviewed the goals and outputs of the ministry’s programs and restructured and reorganized them in a way that fulfilled the ministry’s developmental curve and strategic goal, adopted in its 2019 executive plan, including the budgets allocated for these programs, for approval in the ministry’s 2019 public budget. He continued that this also aims at minimizing alienation though involving all the relevant parties from the ministry, directorates and planning councils in order to further entrench the concept of the ministry’s interventions and its budget. In turn, this will reflect on better performance of those working within this framework and hence better market these interventions inside the ministry and at the level of sectors benefiting from the ministry’s services, Hamam said. Deputy Minister Daoud Al Deek thanked MIFTAH for its efforts and the results of their strategic partnership based on professional foundations and without being linked to the funding policies of the institution. He said this was a model that should be applied throughout the homeland in a bid to support efforts to improve the performance of government institutions, which would thereby be reflected in better services to the people. 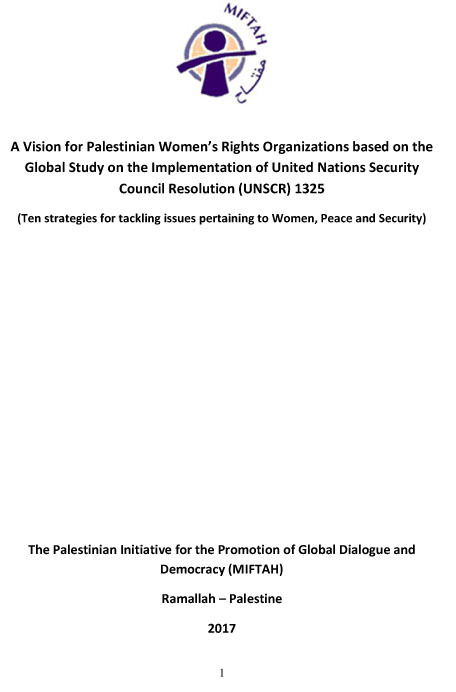 This intervention is part of a memo of understanding between MIFTAH and the Ministry of Social Development. The workshop is complementary to the various development interventions carried out by MIFTAH within its Oxfam-funded project “Finance for Development”, which is implemented in partnership with AMAN and ARIJ.